The time I spent at NTU gave me a better insight and a new perspective on my career. Supreeth graduated in 2008. He found out about the course from a visiting member of NTU staff, Dr Shiva, having previously attended JSS College of Pharmacy in India. 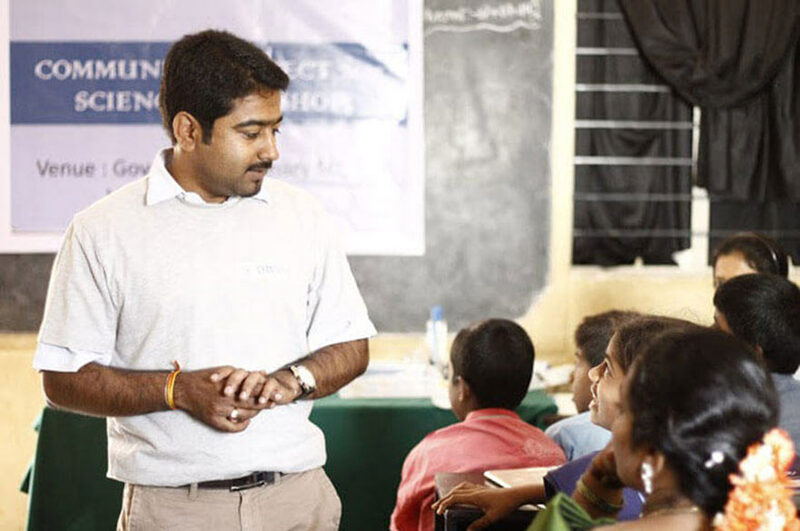 He was the founder and now the CEO of the Gyanpro Educational Innovation Pvt Ltd, a socio-entrepreneurial venture – Science Utsav – researching and promoting conceptual learning and teaching of science in Bangalore. "GYANPRO is a creative parallel educational program for children of age group 8-to-14 years. In this innovative programme children gain knowledge of concepts of science through fun-filled curriculum based experiments, projects, hands-on activities, expeditions and much more. These projects help kids use their imagination and the hands-on activities and expeditions impart a sense of achievement to the kids." "Yes, the time I spent at NTU gave me a better insight and a new perspective towards my career. Of course doing this degree helped my communication and organising skills as well has honing my scientific abilities. My time spent on the course and doing voluntary work helped me to be more enterprising and independent. "The degree is certainly a lot better than what we have in India, particularly structure-wise and the design of the syllabus as it is appropriate to the industry. The methodology of teaching and the exposure towards the research lab and the scientific techniques are exemplary." "I did consider doing a PhD in the UK while doing more voluntary research work and pondering business ideas. I had even consulted the Hive at NTU which is a service helping students to develop their business ideas before venturing into this job full-time." "Of course I did. Studying at NTU was a brilliant experience. The city is great and the University is very student-centric." What was the most memorable experience of your time at the University? "It was when I won the Academic Excellence Scholarship for the year 2008." "Endeavour - Experience – Home."